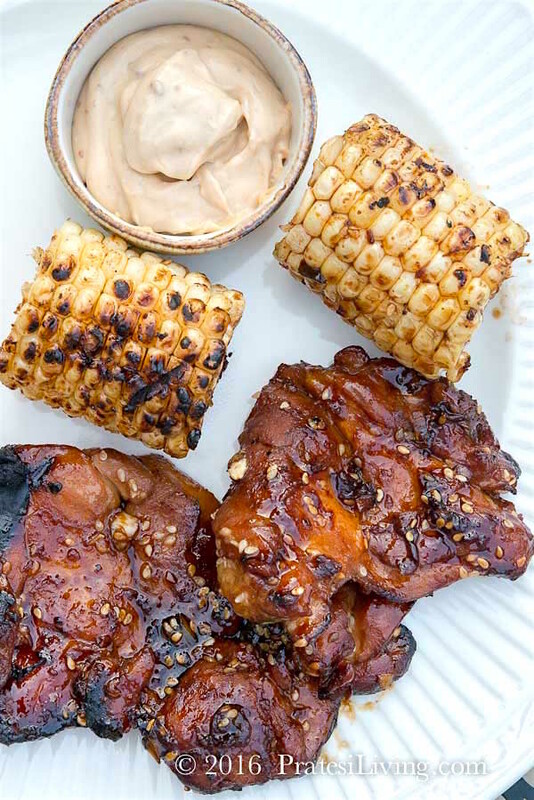 If you’re interested in shaking things up this Labor Day Weekend and thinking outside the holiday meal box, then how about making a batch of juicy ginger and sesame marinated Korean BBQ Chicken with a recipe from Iron Chef Judy Joo?! Labor Day signifies the end of summer, kids going back to school, and a sure sign that fall is just around the corner. 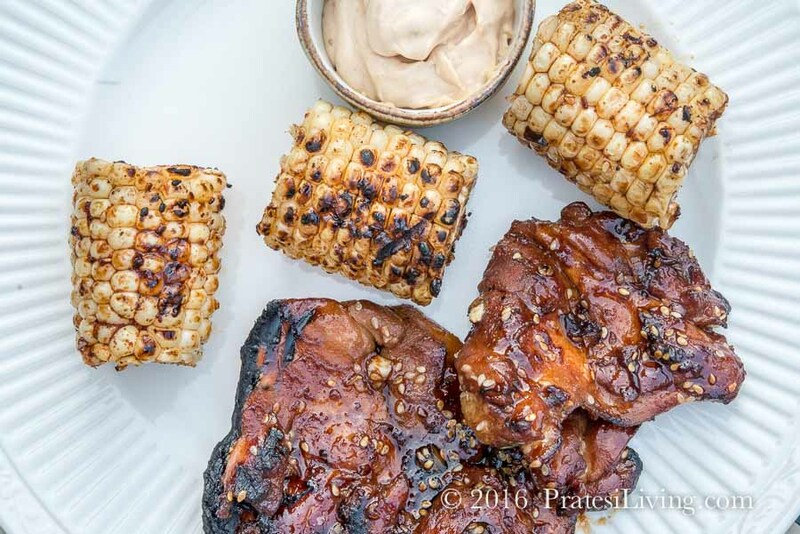 All across the country, the conventional barbecue celebration is in full swing with grills fired up and ready to go with sticky slabs of barbecue pork ribs, smoky spice-rubbed chicken breasts, and more burger patties and hotdogs than the eye can see. Baked beans, cole slaw, potato salad, deviled eggs, gallons of ice tea (sweet tea, if you’re in the south), and coolers filled with ice cold frosty beer round out the menu. And for dessert, what could be more American than homemade vanilla ice cream with apple pie or fudgy chocolate brownies? Yes, that is traditional fare, but we have something else in mind that’s sure to become not only a holiday favorite, but a recipe for your weekly meal rotation. 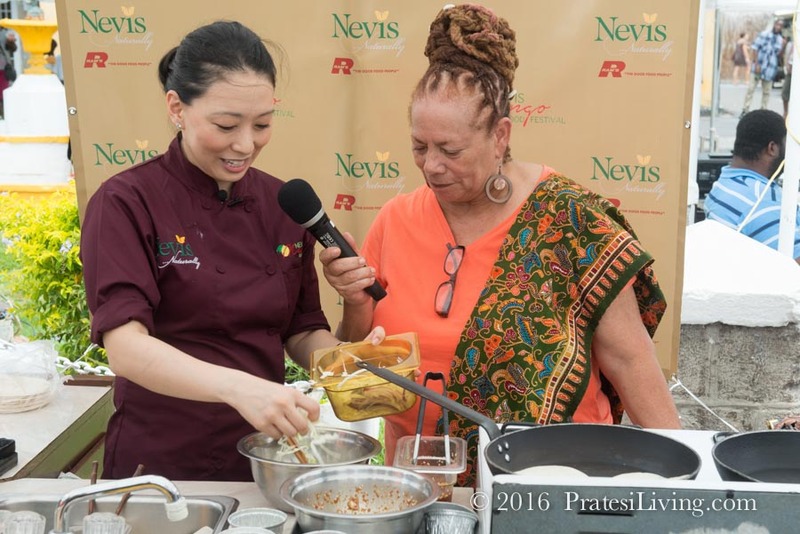 A few months ago we visited the beautiful island of Nevis to learn what this tropical volcanic isle in the West Indies has to offer and to attend their annual Nevis Mango and Food Festival. We were there with a group of fun folks that included several guest chefs for the festival, including Judy Joo and her executive chef and partner, Andrew Hales from the U.K.
Judy Joo has an impressive resume that includes being one of the four Iron Chefs from the United Kingdom, she is chef owner and partner (with Andrew) of Jinjuu, a popular modern Korean restaurant in the Soho District of London (with a second location in Hong Kong), she’s host of Korean Food Made Simple (now in its second season on Food Network), and cookbook author of a new book with the same name, to mention just a few highlights. 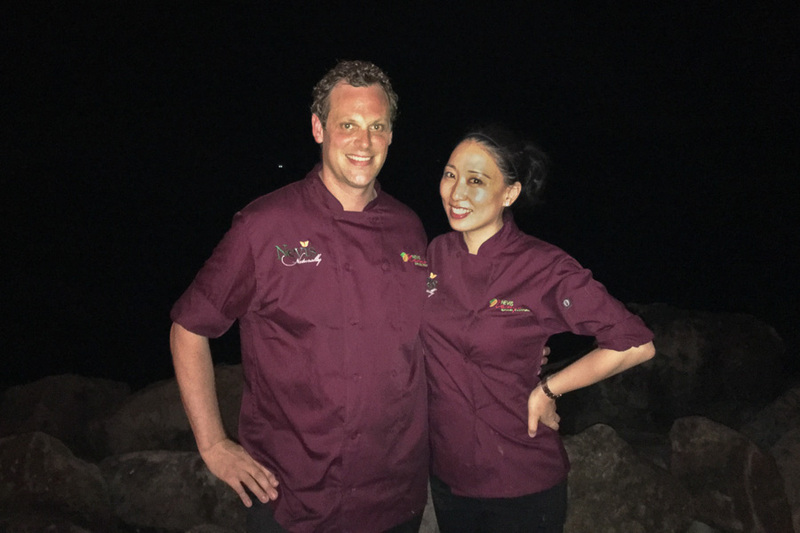 A second career for this talented young star chef, she began in an entirely different world with an engineering degree from the prestigious Columbia University and found her way to Wall Street with Morgan Stanley, only to realize her true passion was cooking. 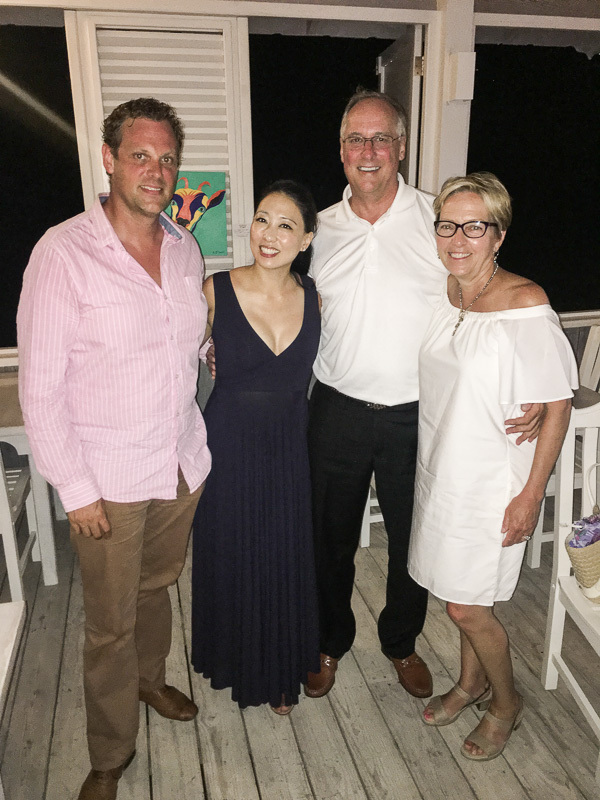 We had the privilege of spending time with Judy, Andrew, and Andrew’s wife Emma, during our time in Nevis while taking in the spectacular scenery of the island, enjoying amazing dinners, and sipping a few rum punches (or maybe three or four). We also attended a couple of dinners where Judy and Andrew were the featured chefs. While we’ve eaten what we would consider “traditional” Korean food, what they prepared was different, hence the name “modern Korean.” The dishes were creatively presented and elevated to another level, like her KFC – Ultimate Korean Fried Chicken, spicy fried chicken served in a rolled paper cup (think pommes frites) and paired with cubed pickled daikon. 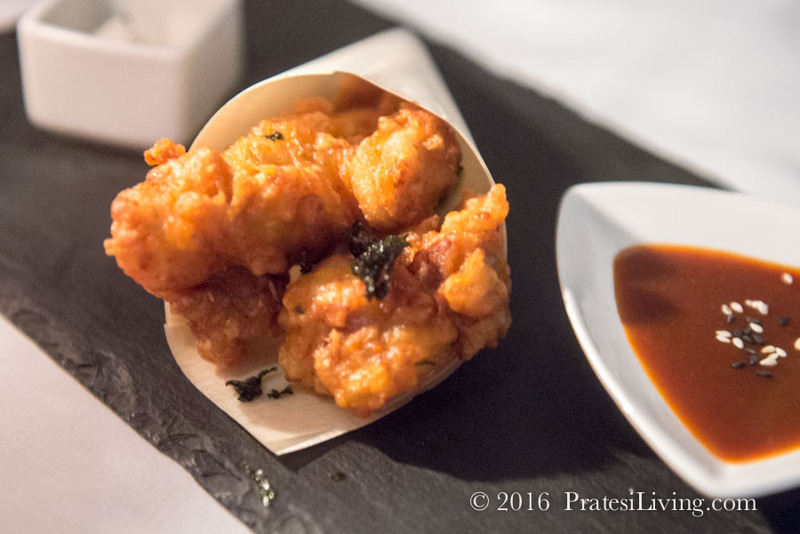 Jinjuu’s signature dish, with a very crispy coating and sweet and slightly spicy sauce, was addictive. When I received her book, Korean Food Made Simple, I decided to make another one of her chicken dishes, Mom’s BBQ Chicken (Umma’s Dak Gigi). 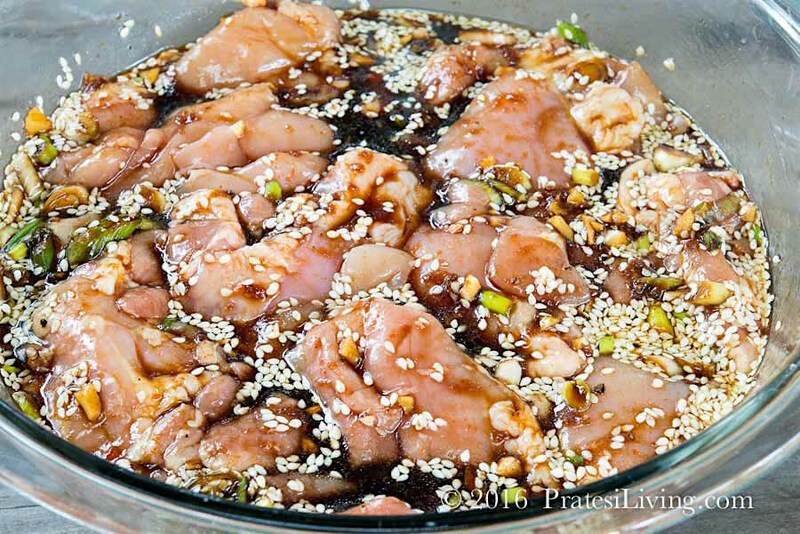 A recipe that Judy’s mother made, I can see why this is a favorite of hers with its flavorful marinade of soy sauce, chopped scallions, dark brown sugar, maple syrup, ginger, roasted sesame seeds, spicy gochujang (Korean chili paste) and garlic. Made with chicken thighs, the meat stays particularly moist and flavorful from marinating and basting the thighs while cooking with the glaze made from reserved marinade. The dish is served with Doenjang Mayonnaise for dipping, which is mayonnaise blended with Korean soybean paste that adds another layer of flavor to this spicy, salty, and sweet dish. If you prefer less salty food (or your diet requires it), use low sodium soy sauce for your marinade. I would also recommend marinating the chicken for the minimum time of 4 hours rather than a full day for the same reason. If you use regular soy sauce and marinate the chicken for just 4 hours, it will have the perfect balance of salty and sweet, with just a hint of spice. 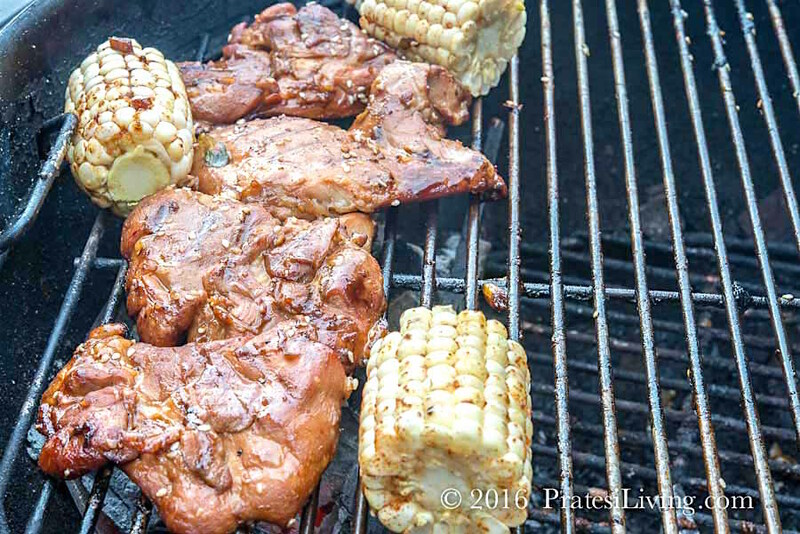 Cooked over a smoky barbecue grill, this chicken is addictive in its own right. The two Korean pastes in the recipe should be available at a Korean or Asian market or online. The only packages I found were in large containers and far more than I will be able to use, but a store with more inventory or an online source will have these ingredients in smaller packages. 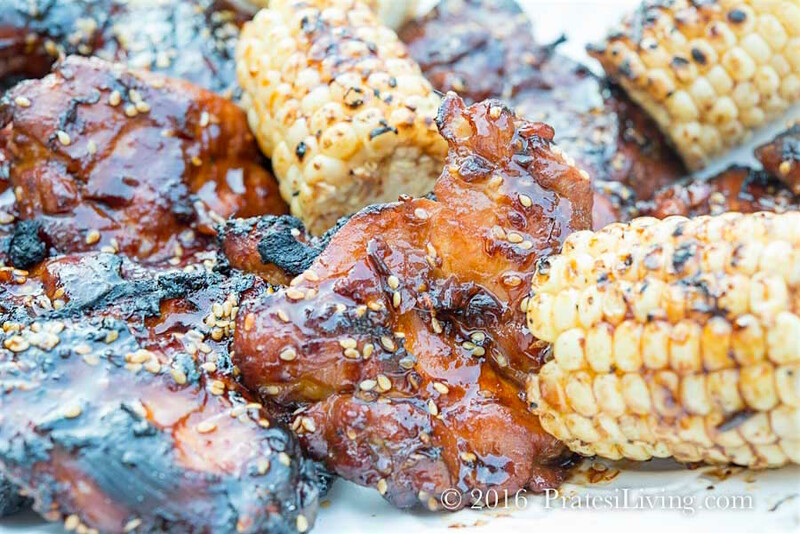 Surprise your family, neighbors, or guests and swap out the traditional American barbecue fare for something that will cause everyone to celebrate, this tasty Korean BBQ Chicken. 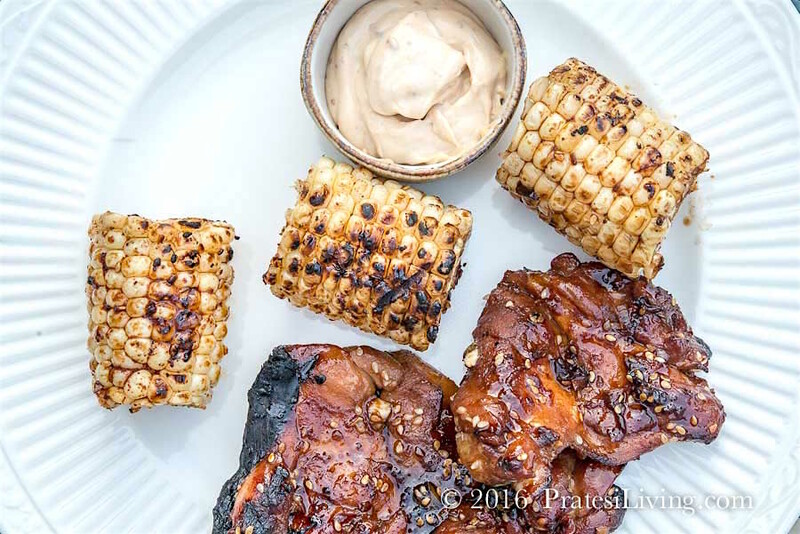 Judy suggests pairing it with Grilled Corn on the Cob, Doenjang Butter, and her Roasted Korean Sweet Potatoes (recipe in her book) for a complete Korean inspired meal. *If you prefer boneless skin-on chicken thighs and can’t find them in the grocery, ask your butcher to debone skin-on thighs or simply use bone-in ones and just add a few minutes to the cooking time. First, prepare the Doenjang Mayonnaise as a dipping sauce for the BBQ chicken. In a small bowl, whisk together the mayonnaise and soybean paste until smooth. Cover and store in the refrigerator if not using immediately. 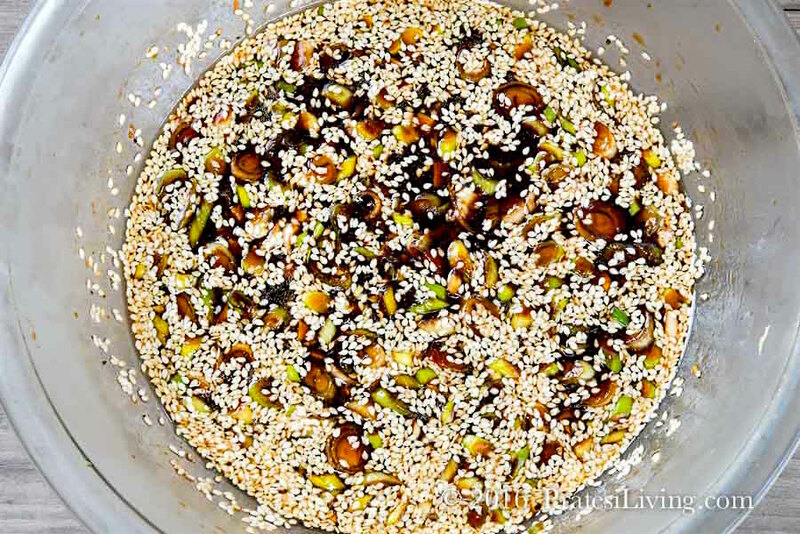 In a medium bowl, stir together the soy sauce, brown sugar, scallions, vinegar, maple syrup, chile paste, sesame oil, ginger, sesame seeds, garlic, salt, and a generous amount of pepper until the sugar has dissolved. Transfer 1 cup of the marinade to a container, cover, and refrigerate. Add the chicken* to the bowl with the remaining marinade and toss to coat. Cover and let marinate in the refrigerator, tossing once or twice, for at least 4 hours or up to overnight. Before grilling, let the chicken come to room temperature, about 30 minutes. Meanwhile, put the reserved 1 cup marinade in a small saucepan and simmer until it has thickened to a glaze-like consistency, about 8 to 10 minutes; set the glaze aside.